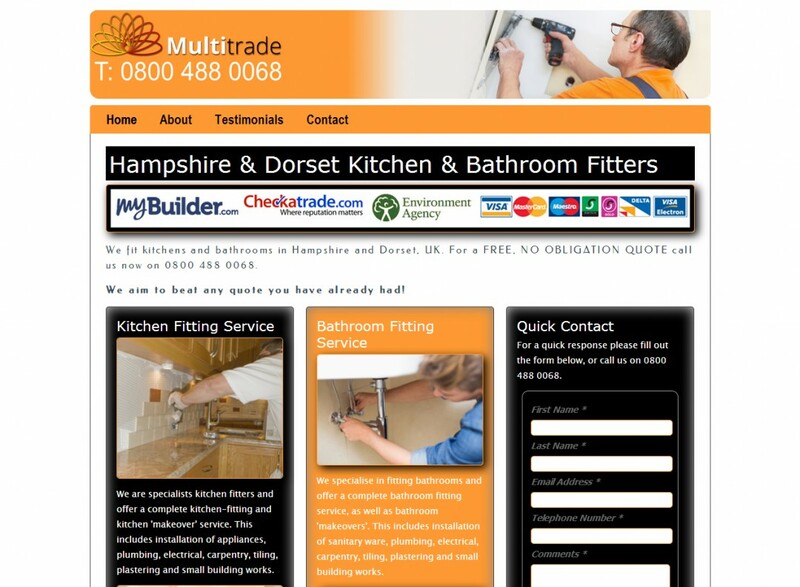 mykitchenfitting.com was the website of Multitrade Management Limited, based in Lymington, Hampshire. Built in May 2014, in June 2015 the site was taken offline as the client had too much work. The Company wanted a website to promote their kitchen and bathroom fitting skills via Google Adwords, in particular, and so asked M35 Web Design to come up with something professional-looking, but not too expensive to build. The site was built fairly swiftly; M35 Web Design wrote the content and then helped the client to choose appropriate images for their site.